Keio University (慶應義塾大学 Keiō Gijuku Daigaku) is a university located in Minato, Tokyo, Japan. It is one of the top universities in Japan, similar to one of America's Ivy League institutions.Keio is the oldest private university in Japan established originally as a school for Western studies in 1858 in Edo (now Tokyo) by founder Fukuzawa Yukichi. Its baseball team plays in the Tokyo Big6 Baseball League. Keio University is widely accepted as one of the premier universities in Japan. The 4ICU ranking classifies Keio as the 1st top university in Japan. École des Mines de Paris (2007) ranks Keio University as 2nd in Japan (4th in the entire world) for the number of CEOs alumni , while Webometrics (2008) ranks Keio University as 3rd in Japan for quantity and quality of web publication. The 2006 THES shows that Keio University ranks 5th in Japan. 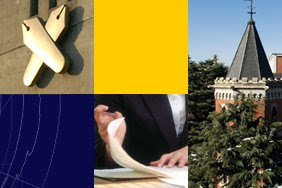 Some of the prominent Keio alumni include: Japanese Prime Minister Junichiro Koizumi (2001-2006), Japanese Prime Minister Ryutaro Hashimoto (1996–1998), and Japanese Prime Minister Inukai Tsuyoshi. Dozens of other alumni have been cabinet members and governors in the post-war period. Keio was founded in 1858 by Fukuzawa Yukichi, who had studied the Western educational system at Brown University in the United States. 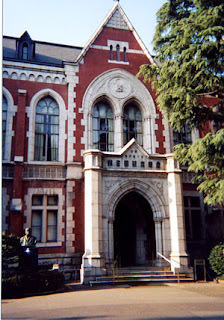 While Keiō's initial identity was that of a private school of Western studies, it expanded and established its first university faculty in 1890, and became known as an influential leader in Japanese higher education. The interest of Keio's students in baseball stretches back to the early years of the 20th century; and the history of exhibition games was reported internationally. In 1913, an American professional team made of players from the New York Giants and the Chicago White Sox played the Keio team in an exhibition game.In a 1932 exhibition game, the Keio team beat the University of Michigan team which was then touring Japan.